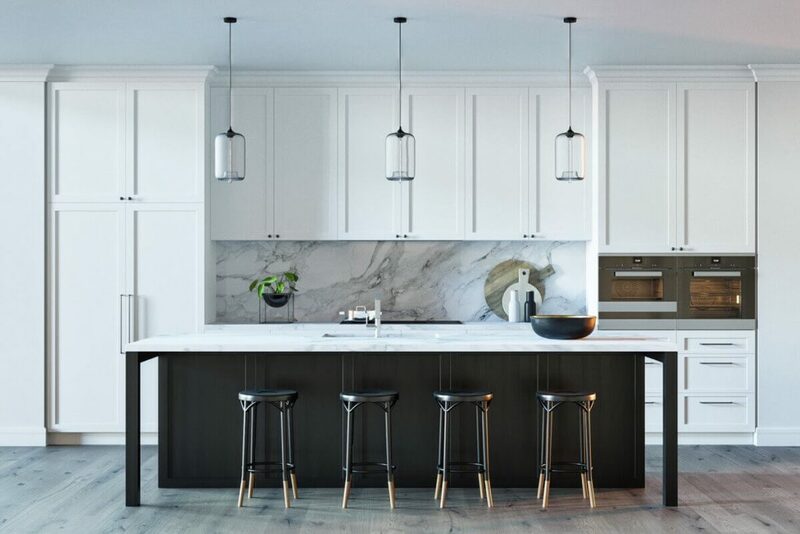 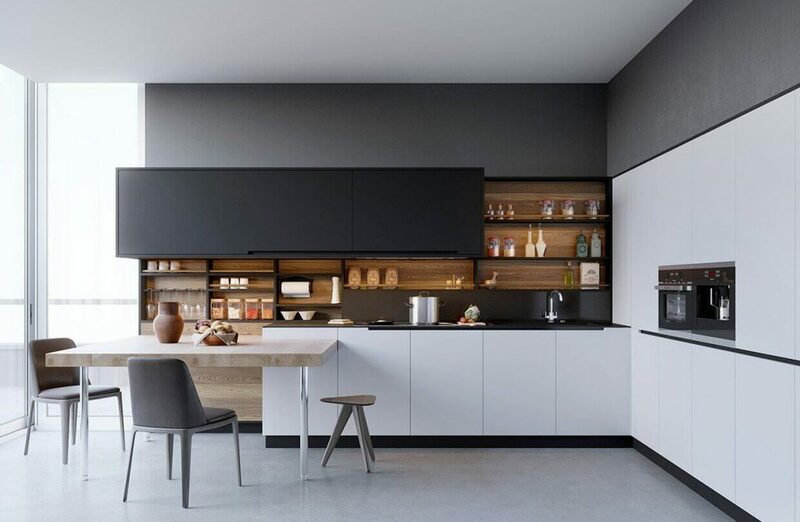 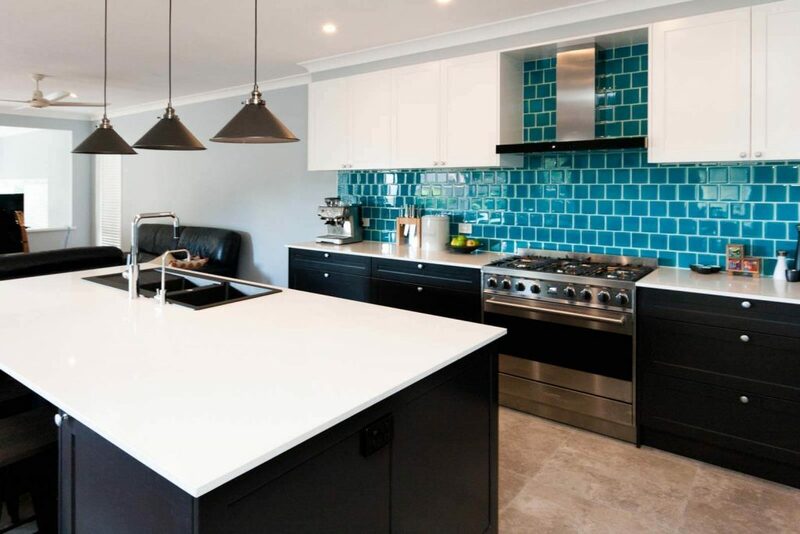 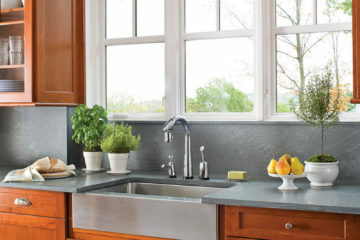 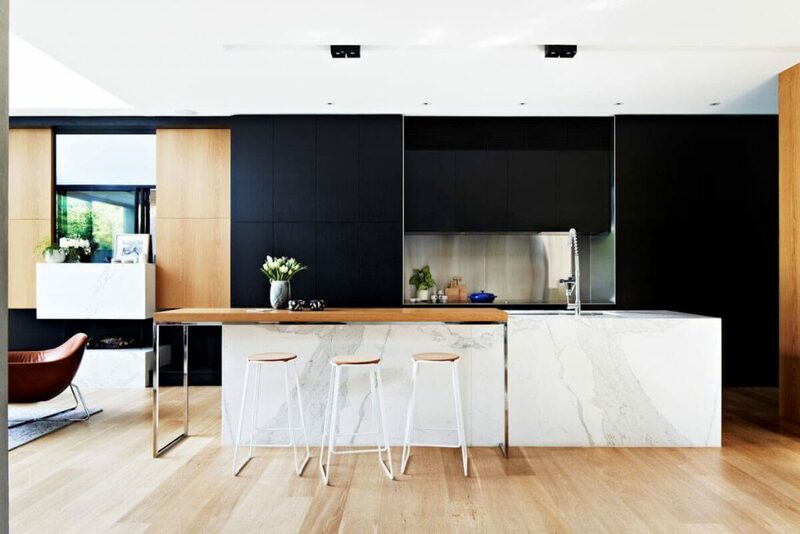 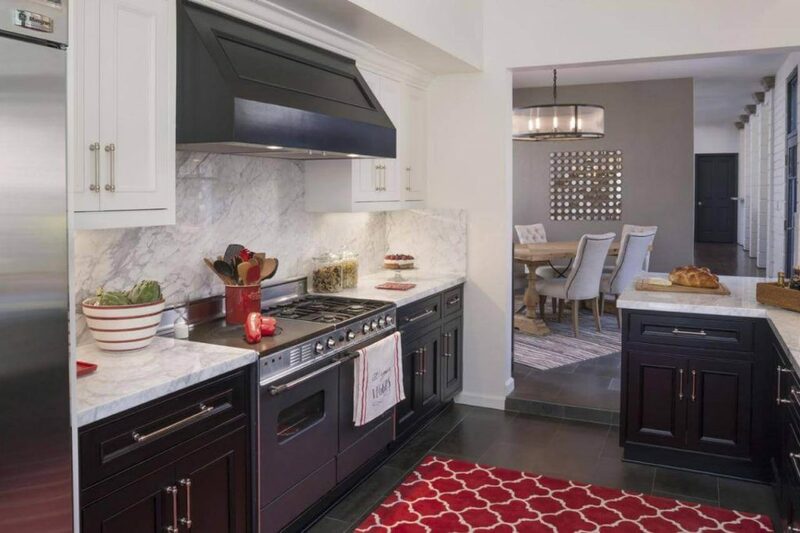 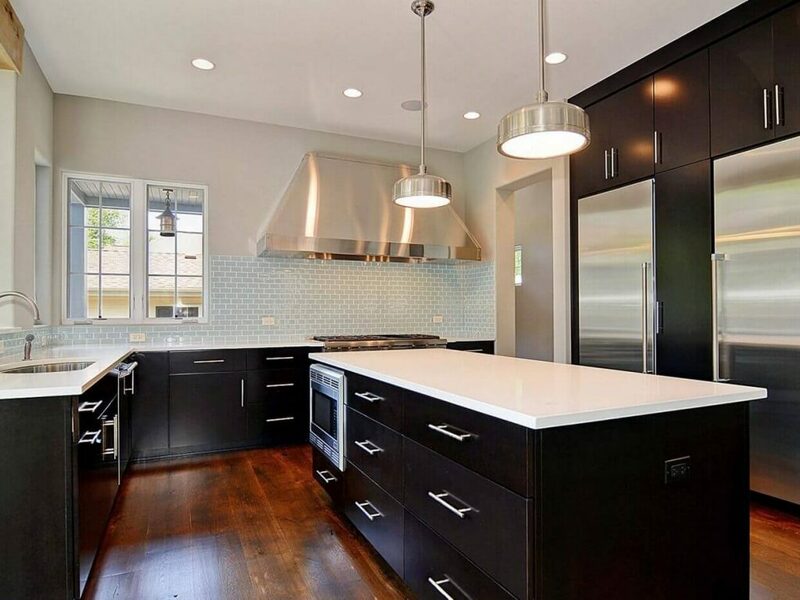 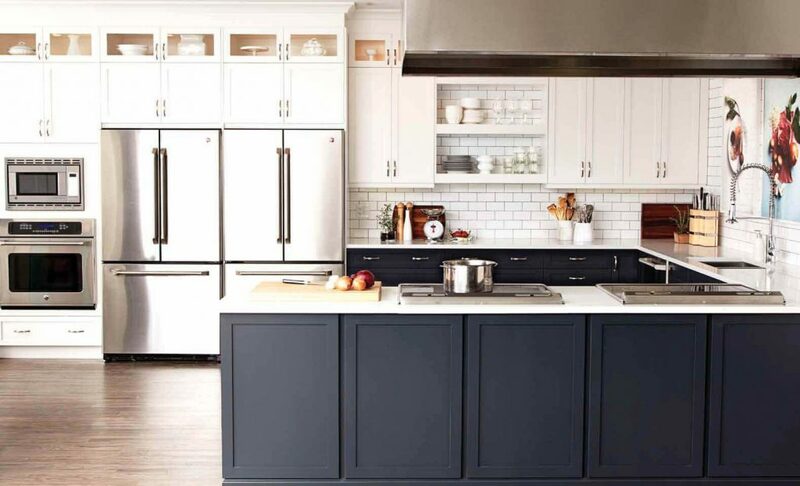 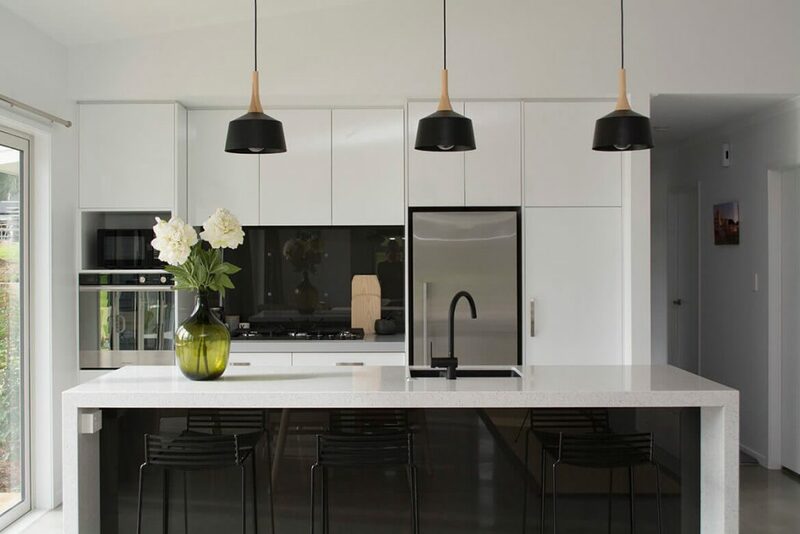 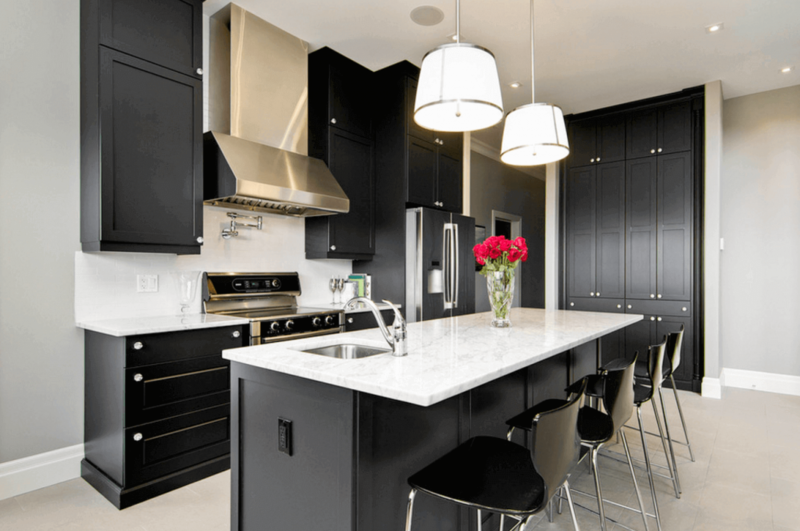 Who Cares Design: This design Subtle geometric influences bring this matte black kitchen to life. 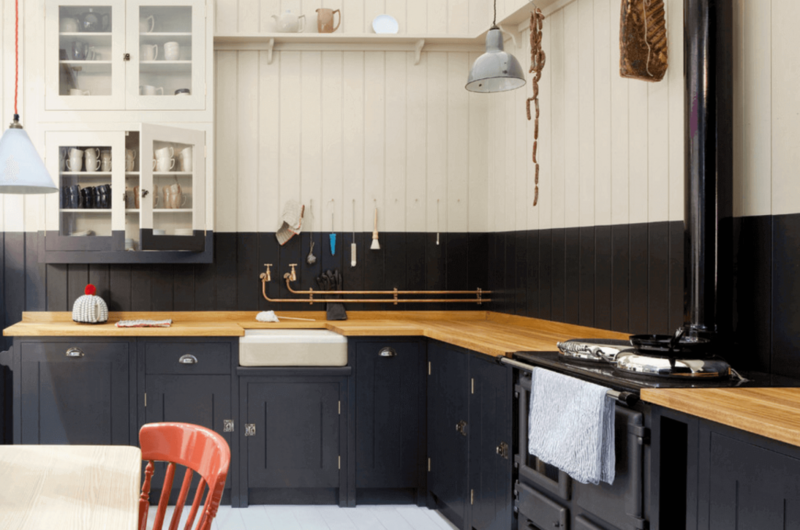 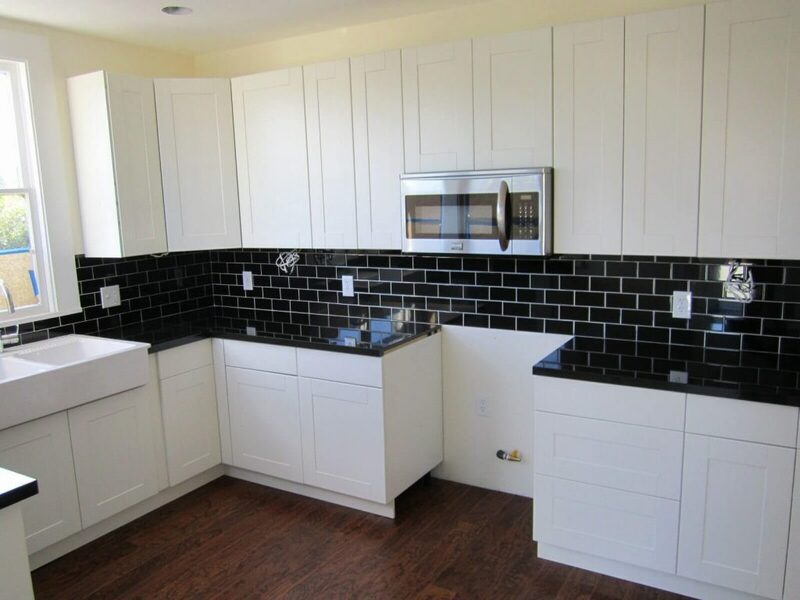 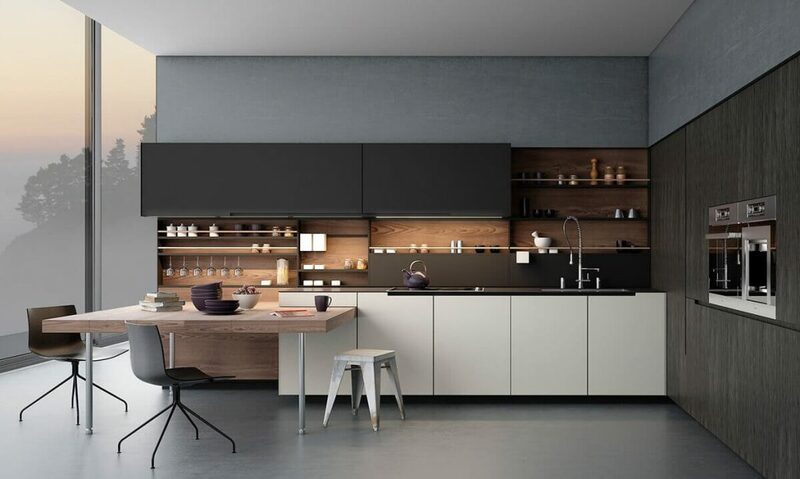 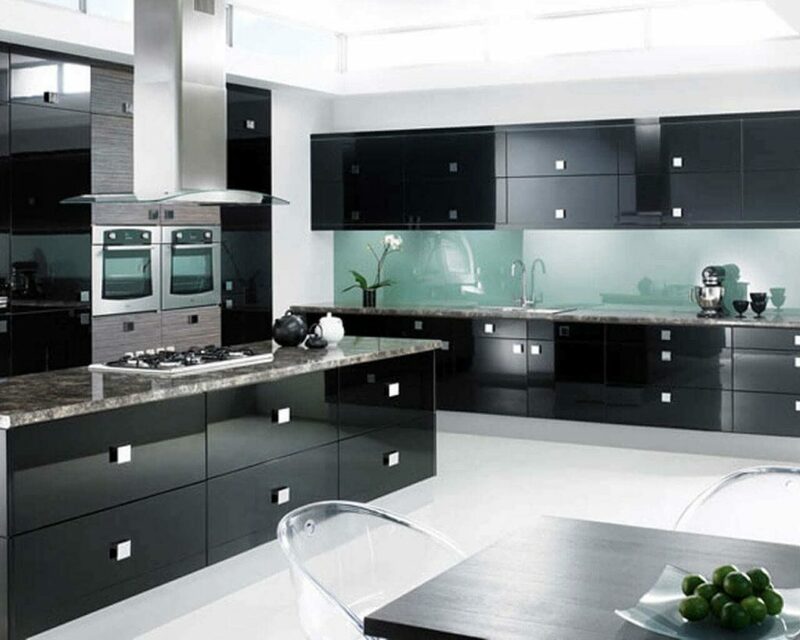 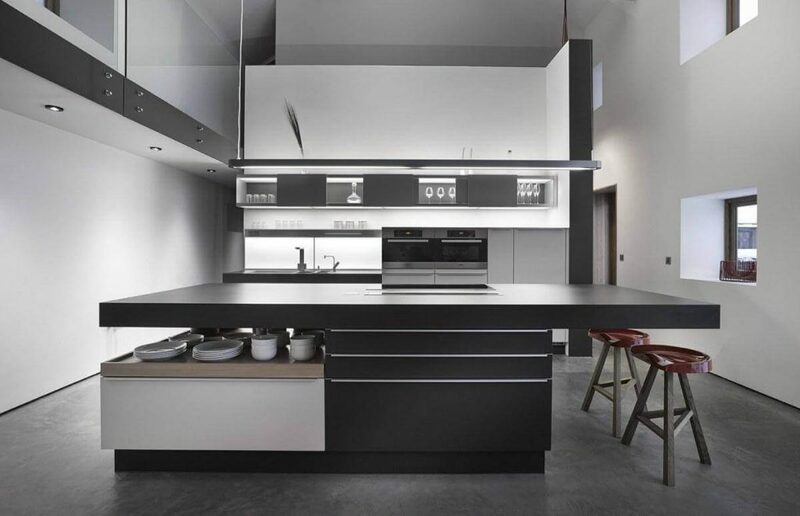 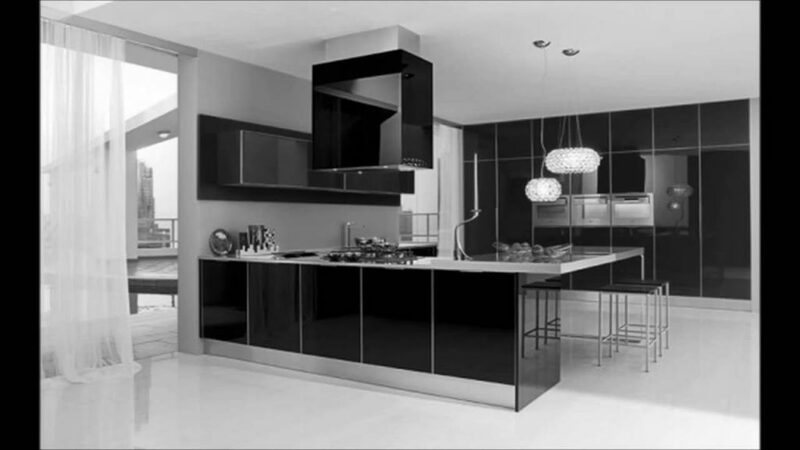 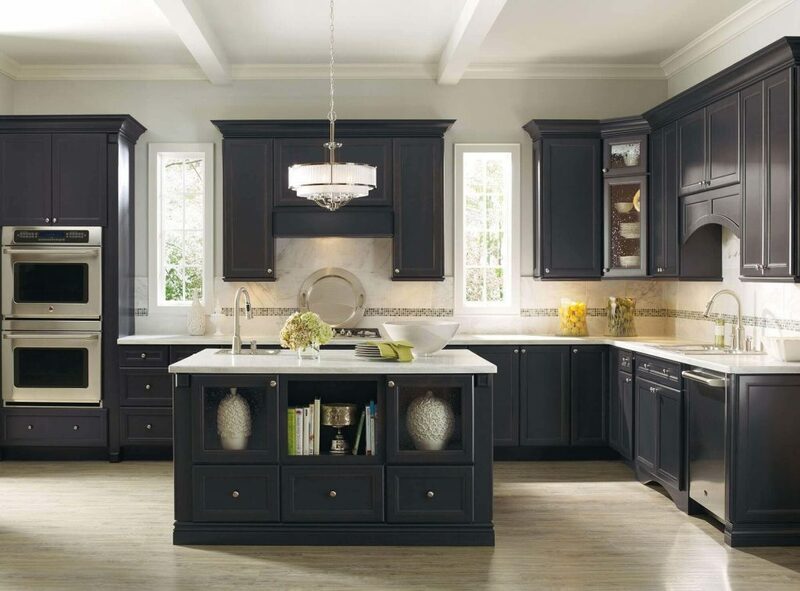 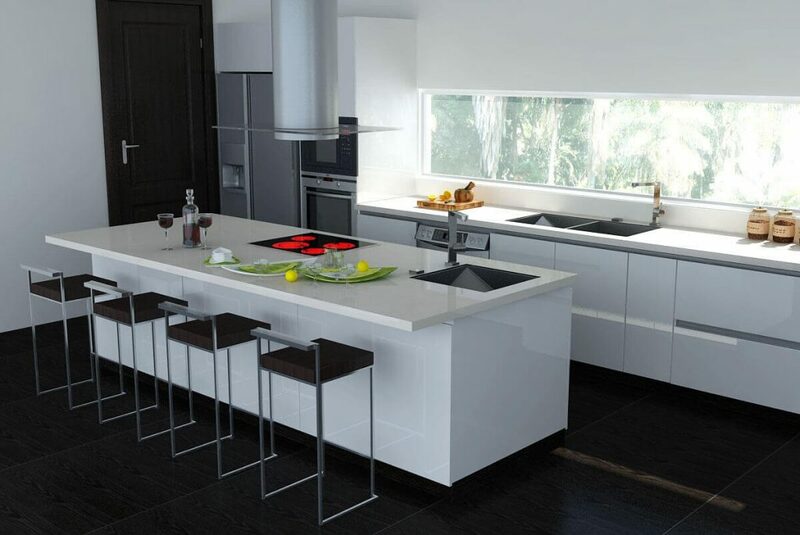 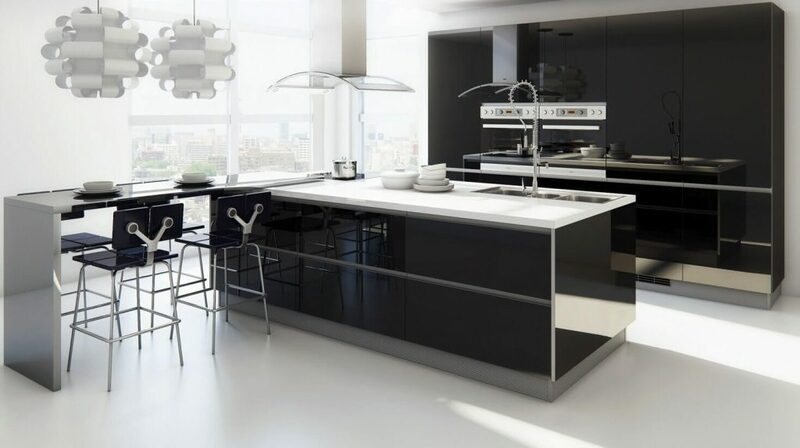 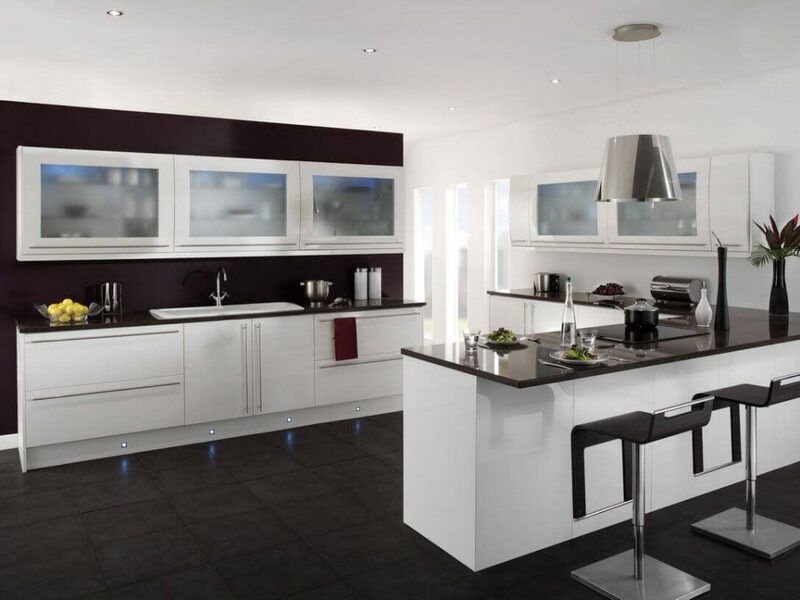 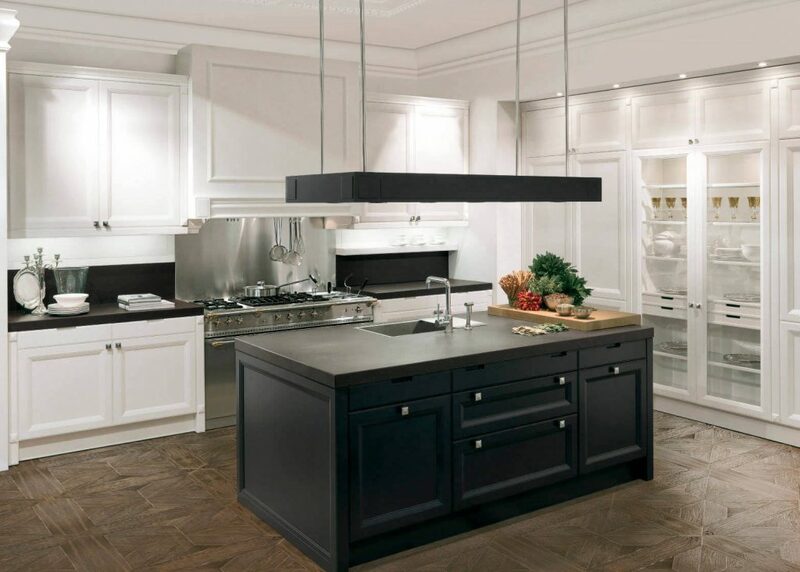 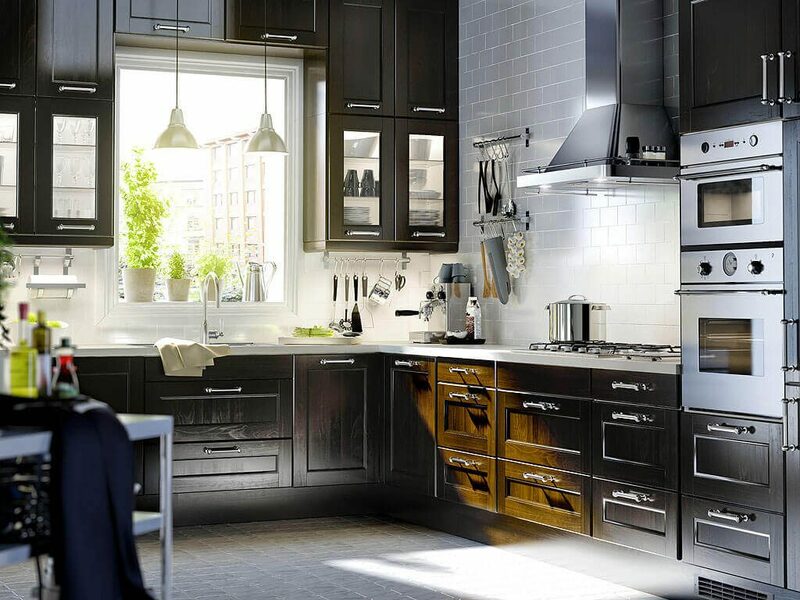 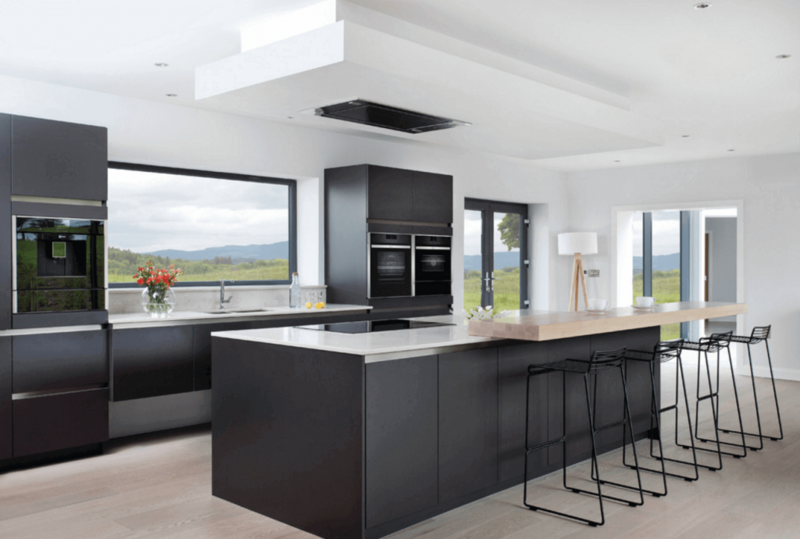 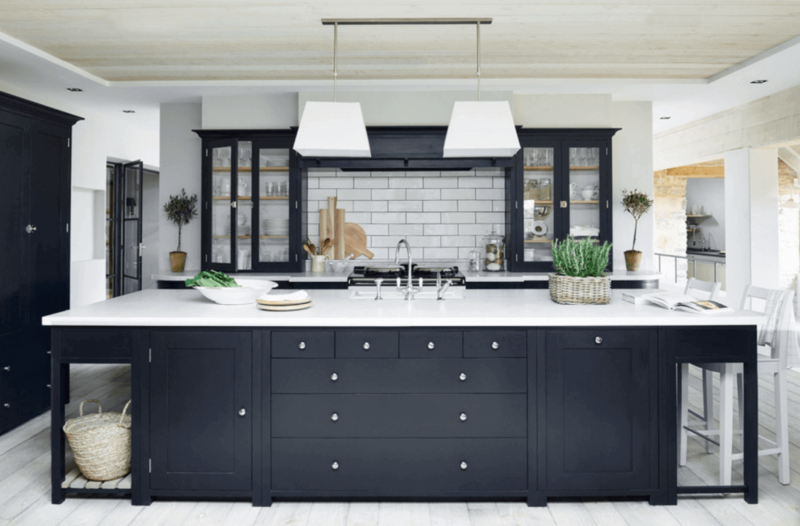 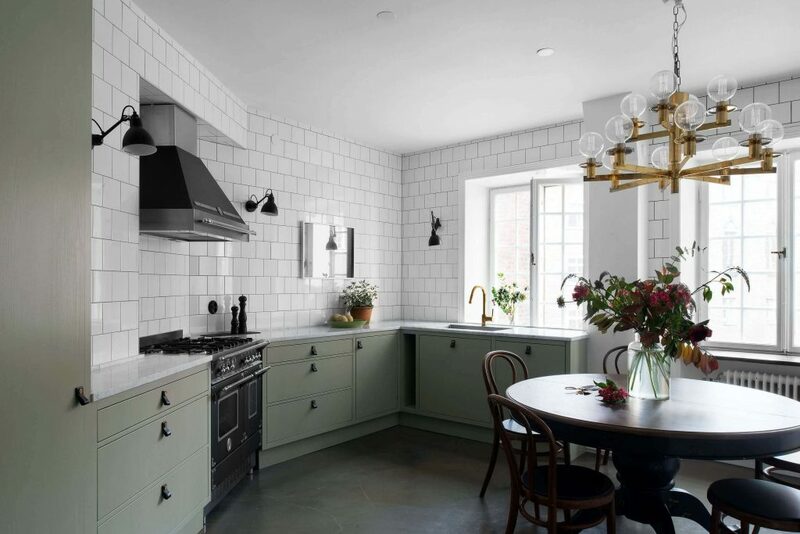 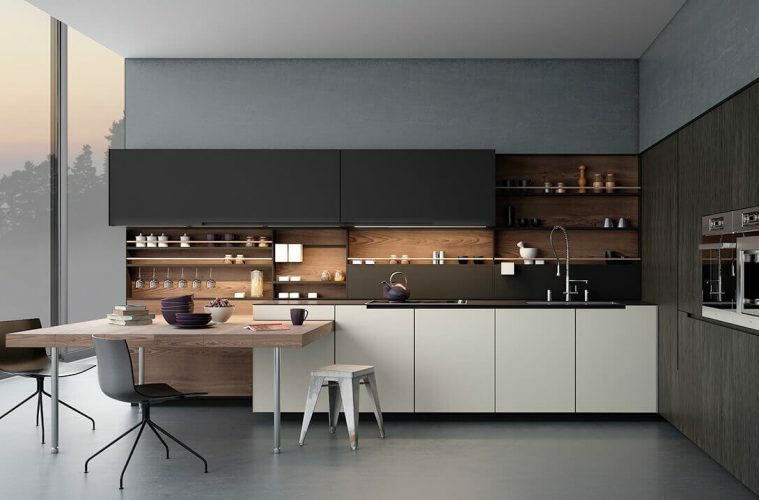 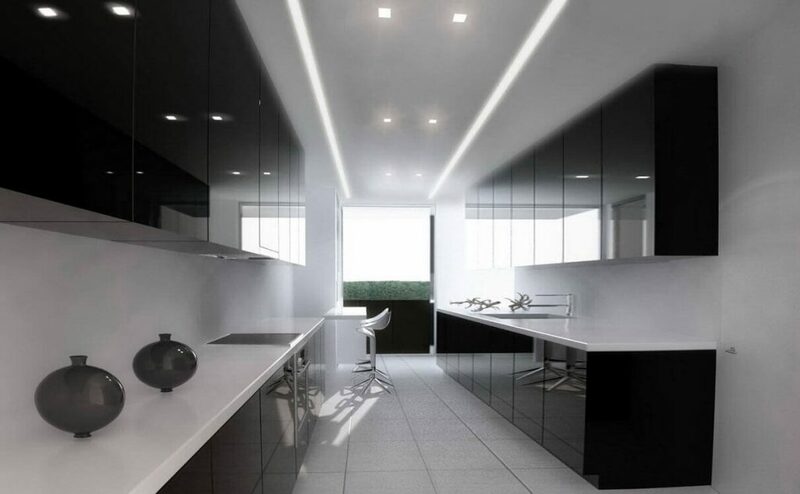 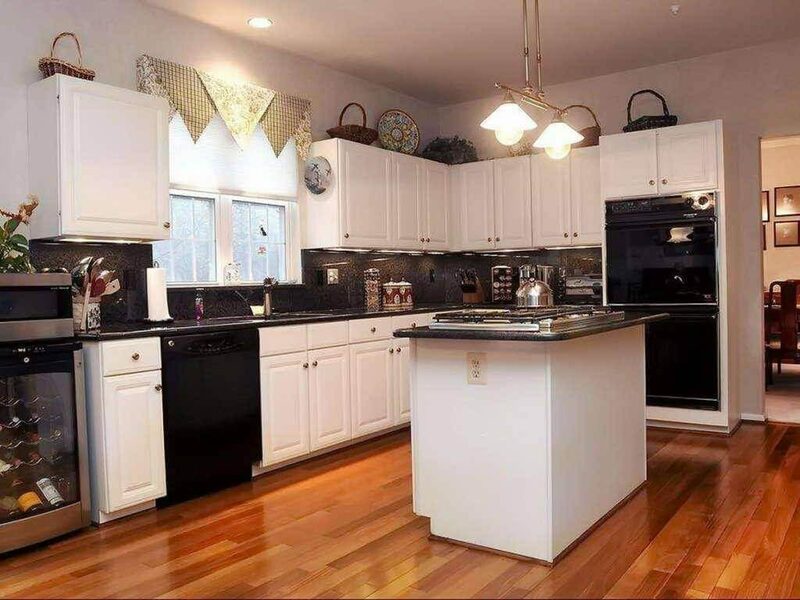 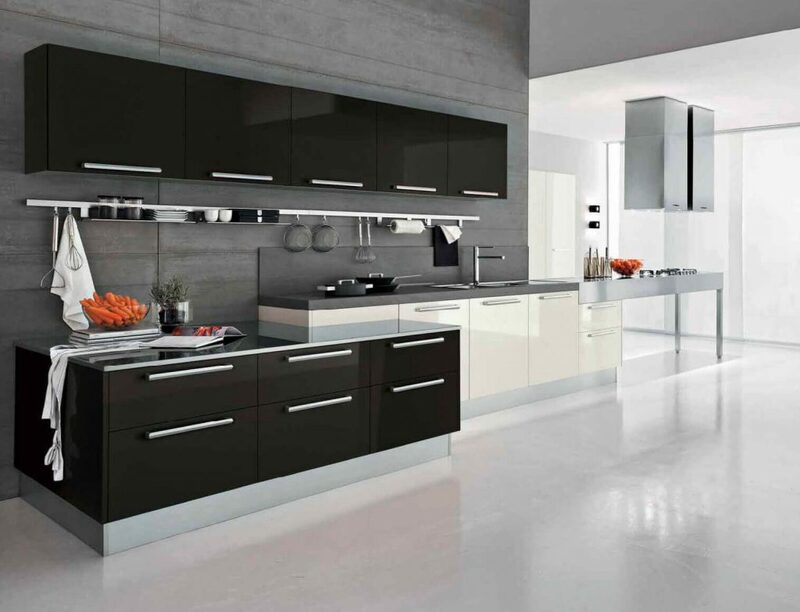 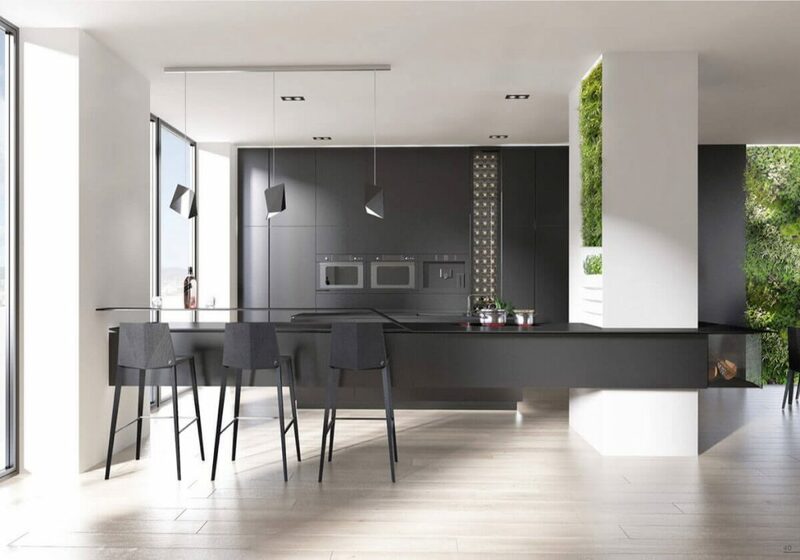 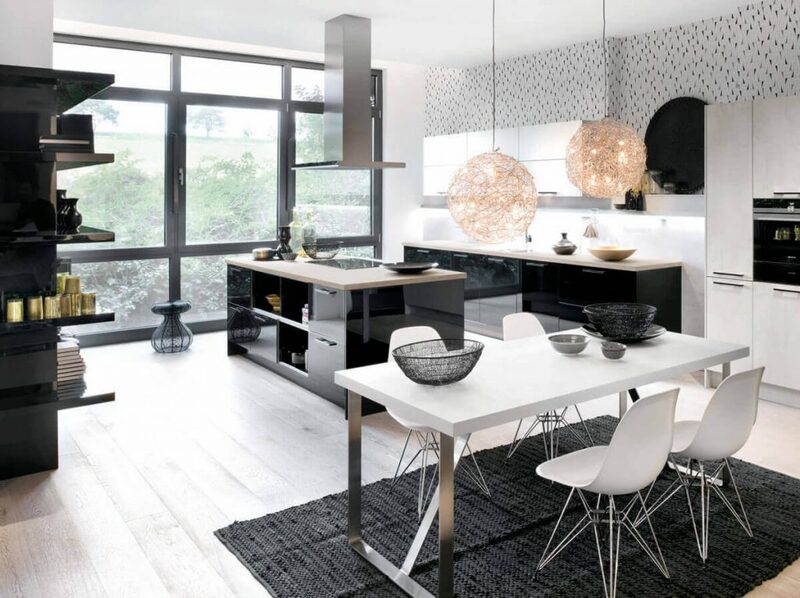 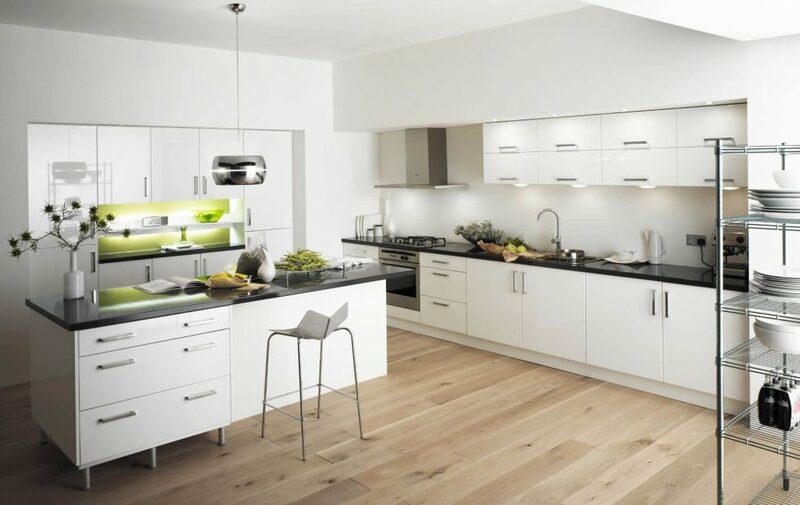 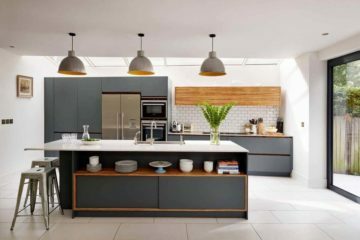 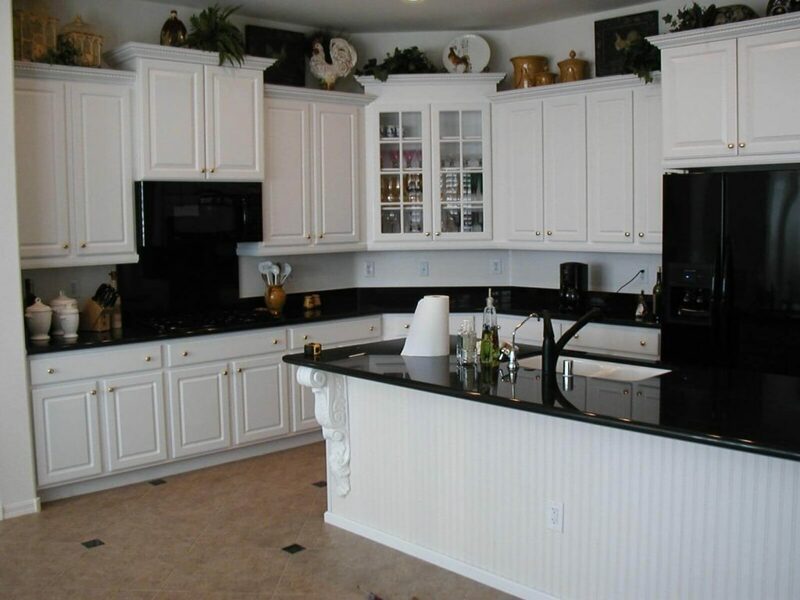 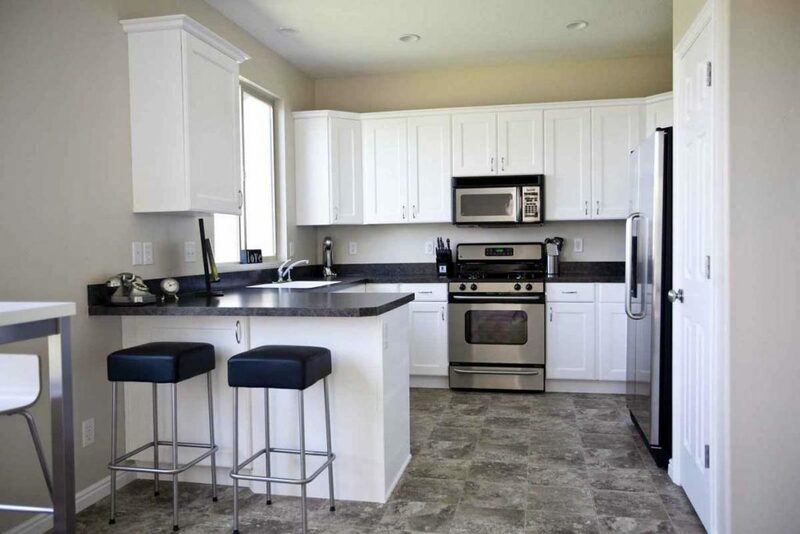 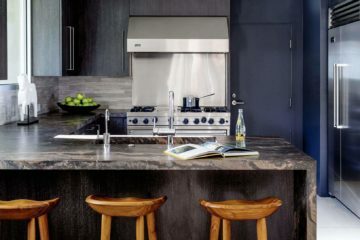 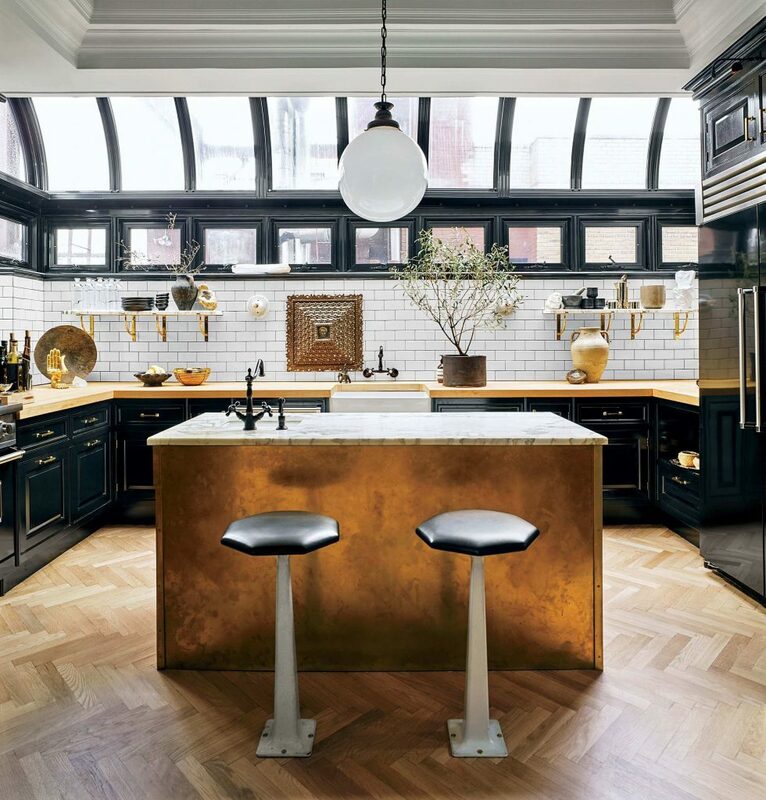 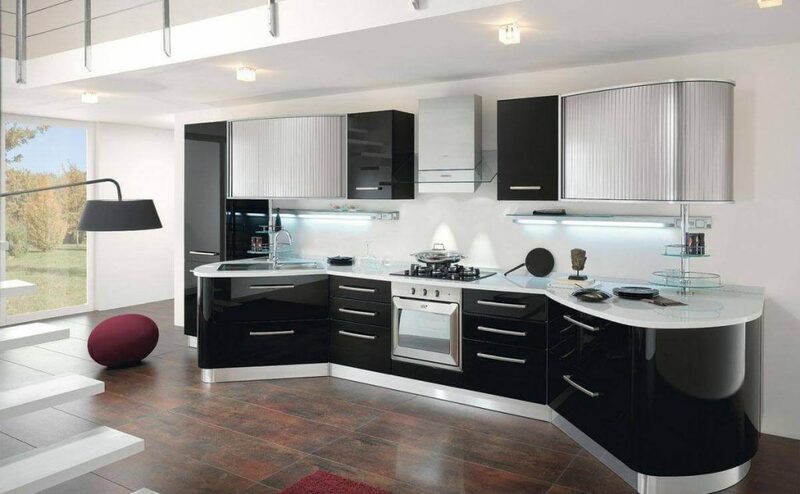 Lucas Filip: Black-on-black kitchens look gorgeous as well! 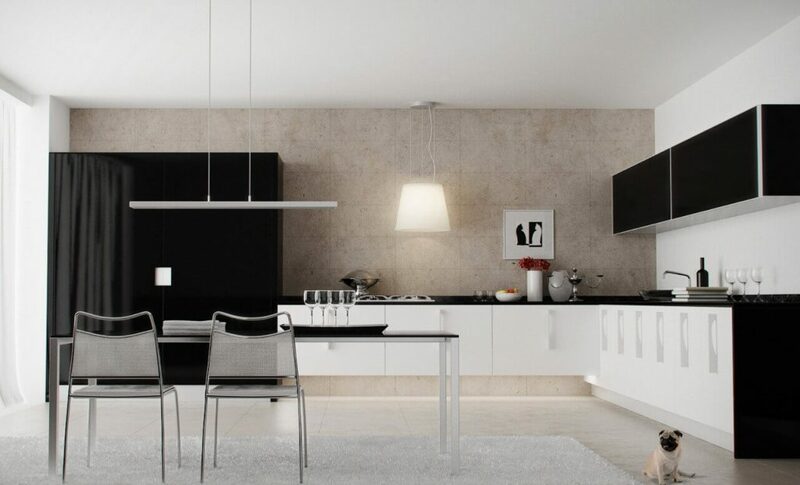 This one basically uses various textures for contrast and depth. 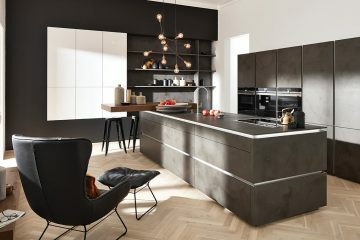 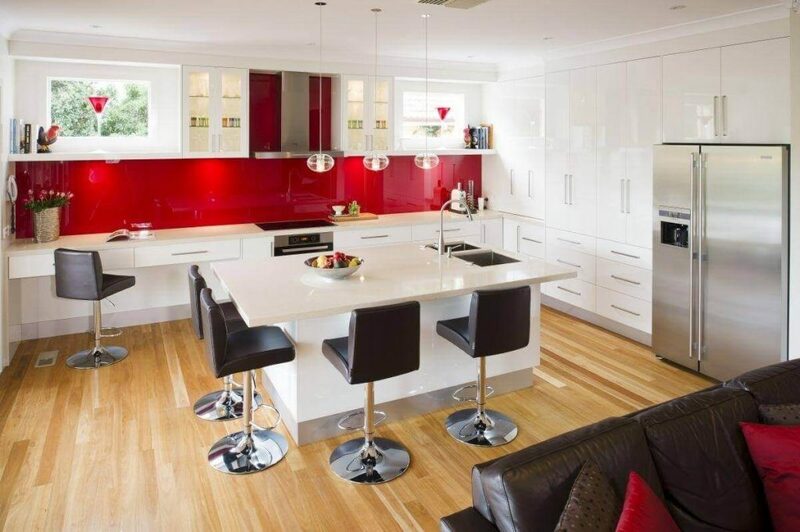 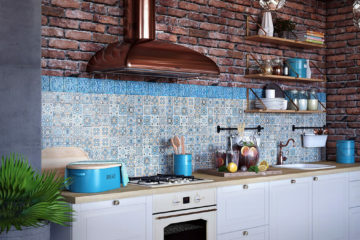 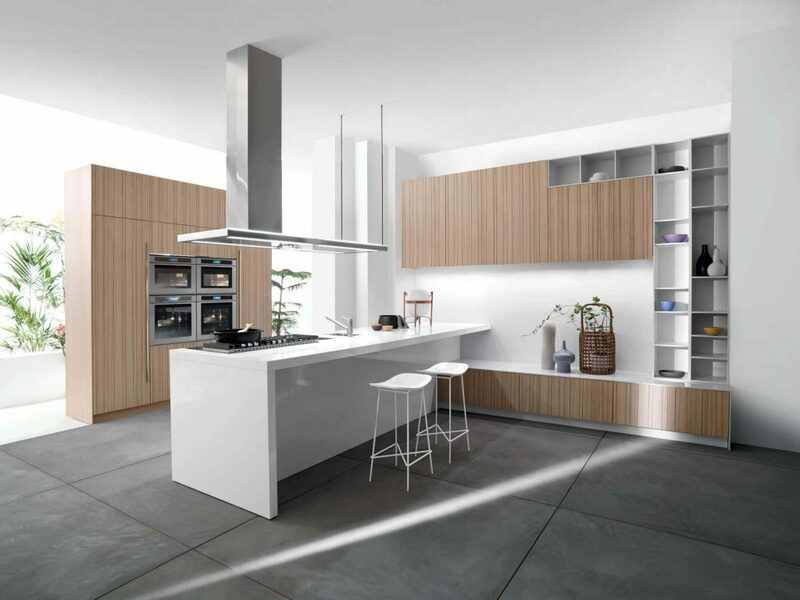 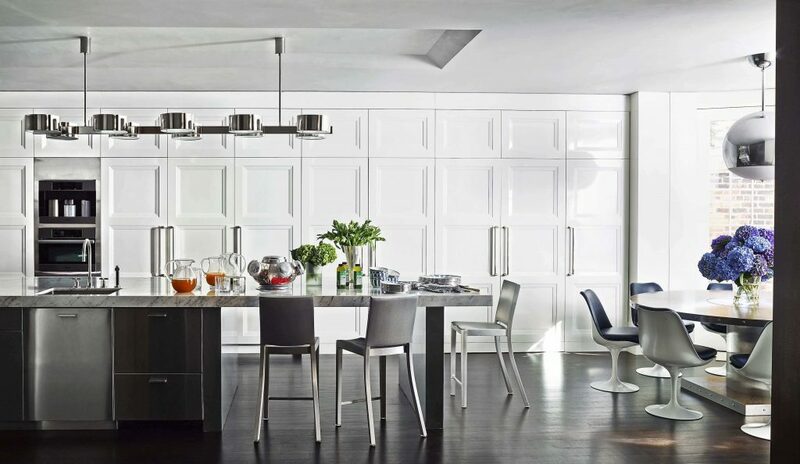 Gabriel Vel: Wood is not limited to classic style kitchens. 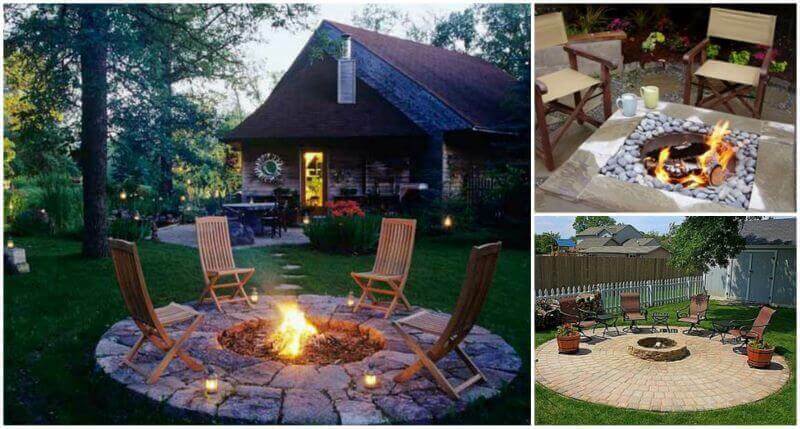 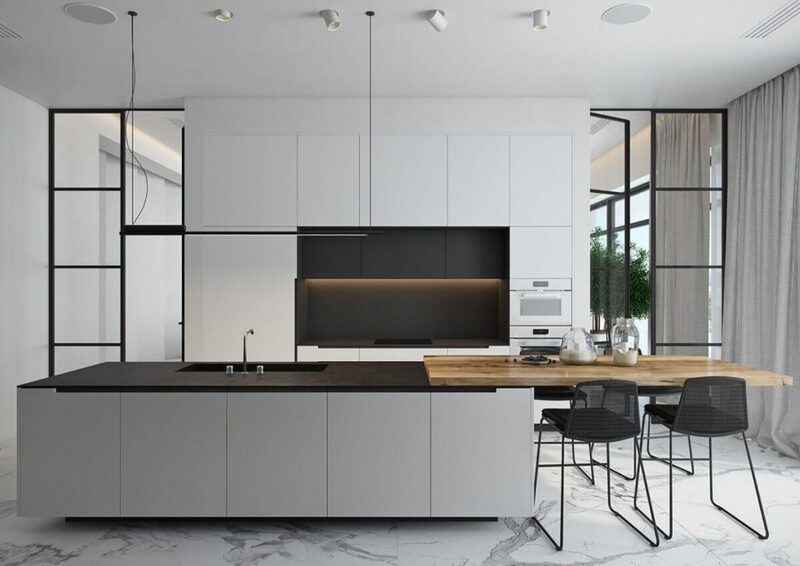 Here, just muted tones contribute a natural aesthetic without breaking away from the grayscale color theme used throughout. 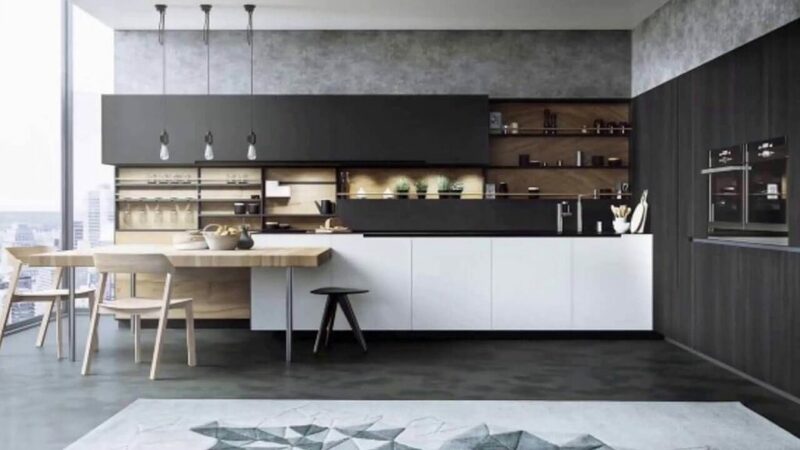 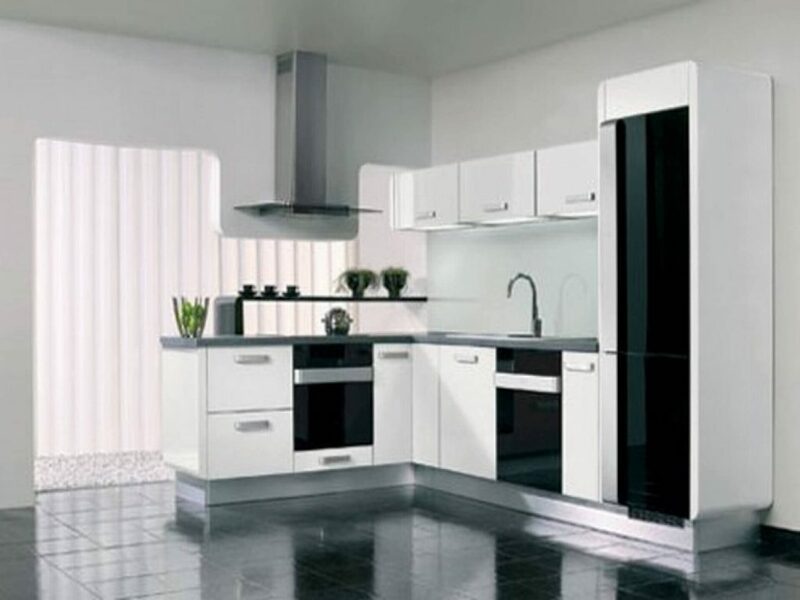 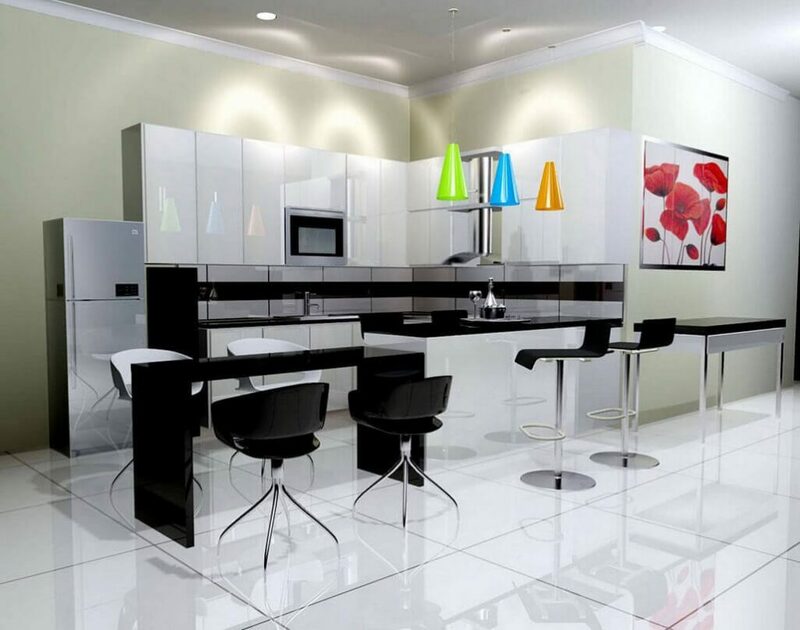 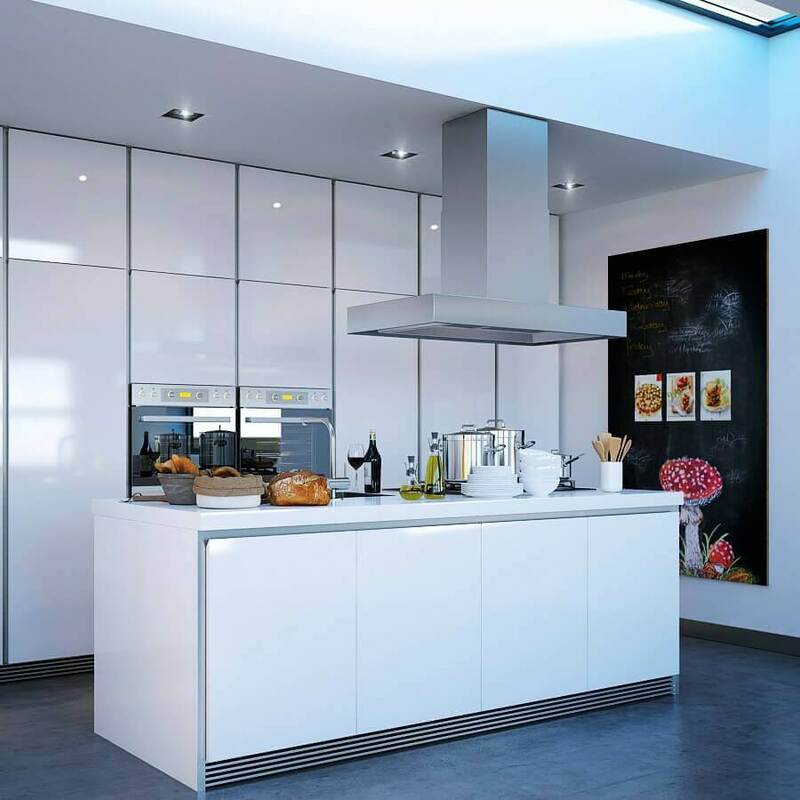 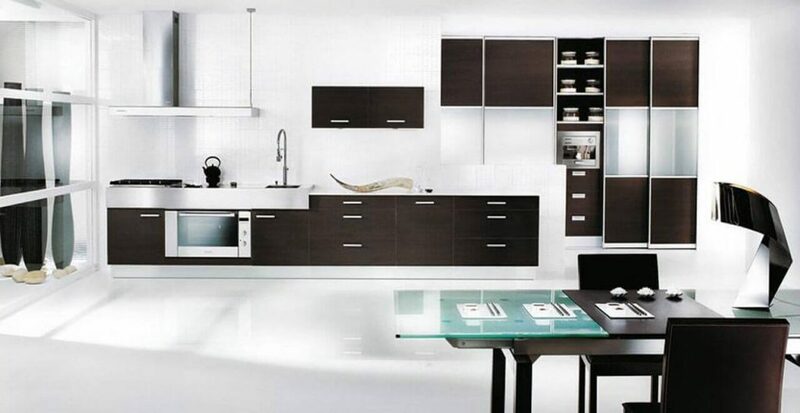 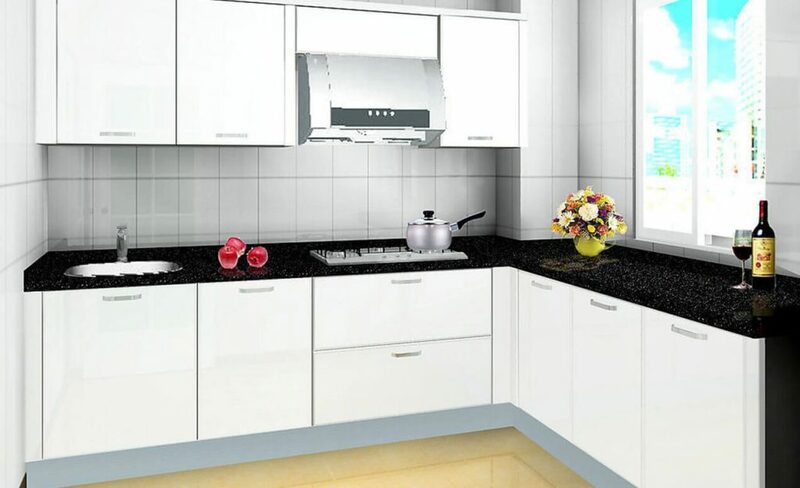 Olesya Ligay: Another Black and White kitchen that uses wood. 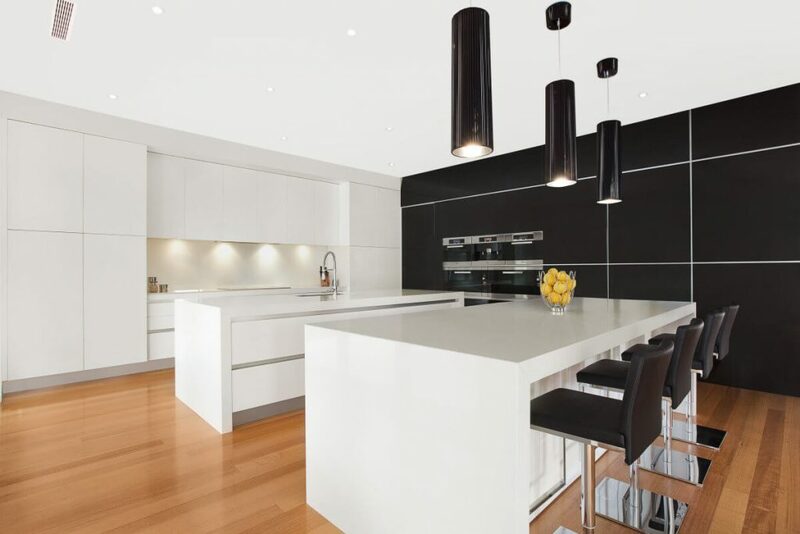 Alexander Shabalin: This white geometric pattern basically catches the eye immediately. 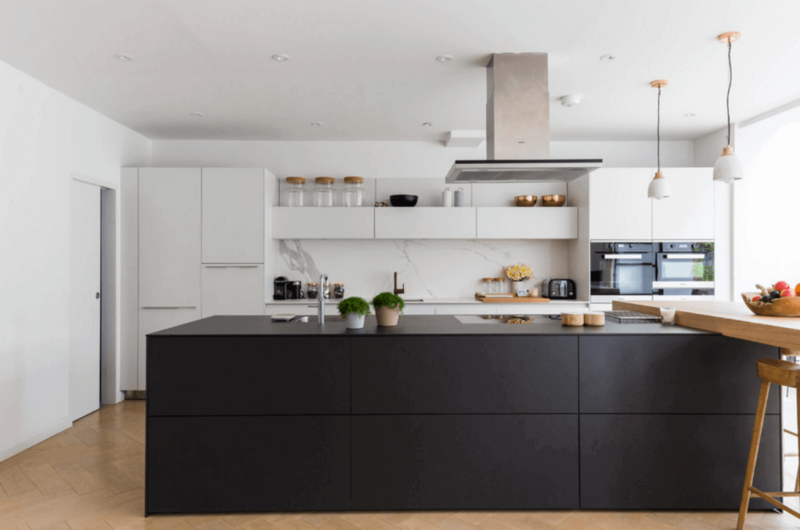 Inuit: Minimalistic kitchens often benefit from some type of sculptural and otherwise eye-catching addition to serve as a focal point. 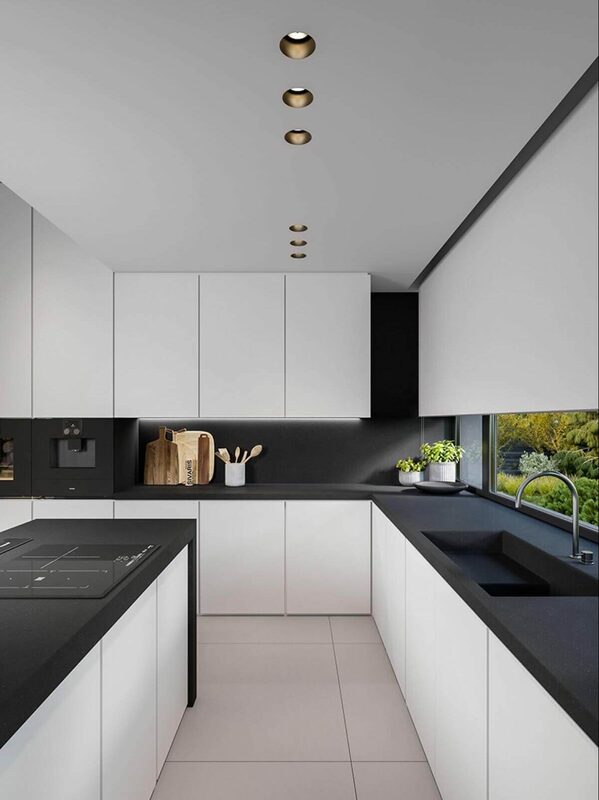 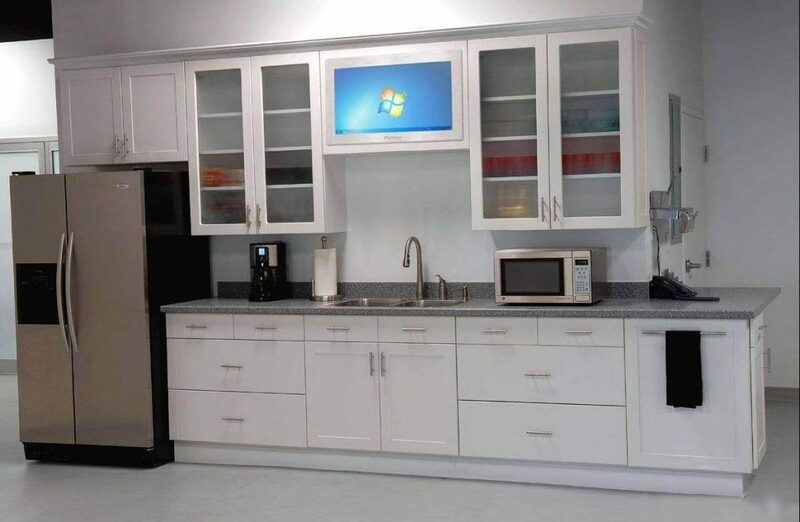 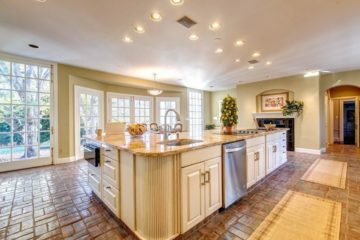 Tamizo: This kitchen’s focal point is yet another light, but this one stands out simply because of its contrast against the background.